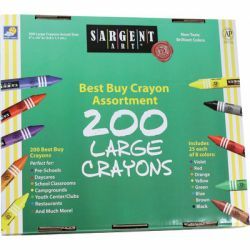 These bulk-packaged assortments are filled with quality, economy, and value! Convenient storage box is divided into 8 separate compartments for ease of use. 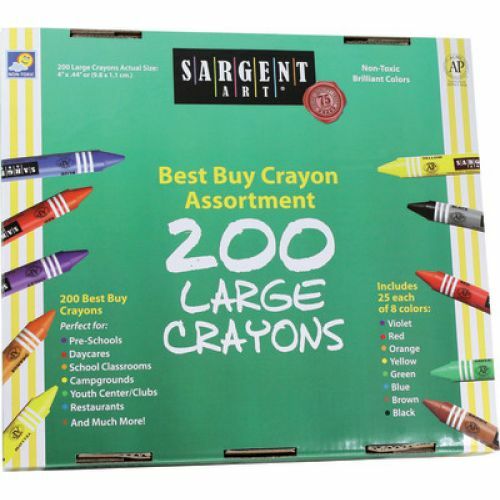 Eight colors per box. Crayon size: 4" x 7⁄16".